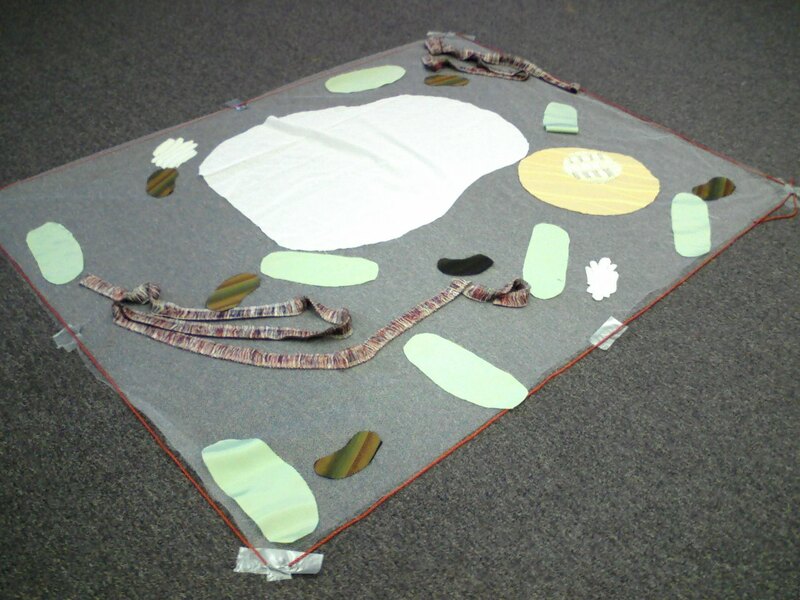 It depends on whether you have your students help set up the plant cell play area. If you have it set up ahead of time, allow 15-30 minutes to play. If you have your students help set up the play area (which can be good for even more review) allow more like 45-60 minutes for the whole activity. You may want to discuss each cell part as you lay it out on the floor. Materials you will need: Colored paper, green fabric or paper, long rope, yarn in three colors, small objects such as dried beans (for ribosomes), pennies or other small objects to pitch (if you don’t want to use pennies you can pitch bean bags or even shoes). See the instruction sheet for a more complete list. You will need a fairly large area of floor space.